Next time you're at a market, check if there's a stall missing. 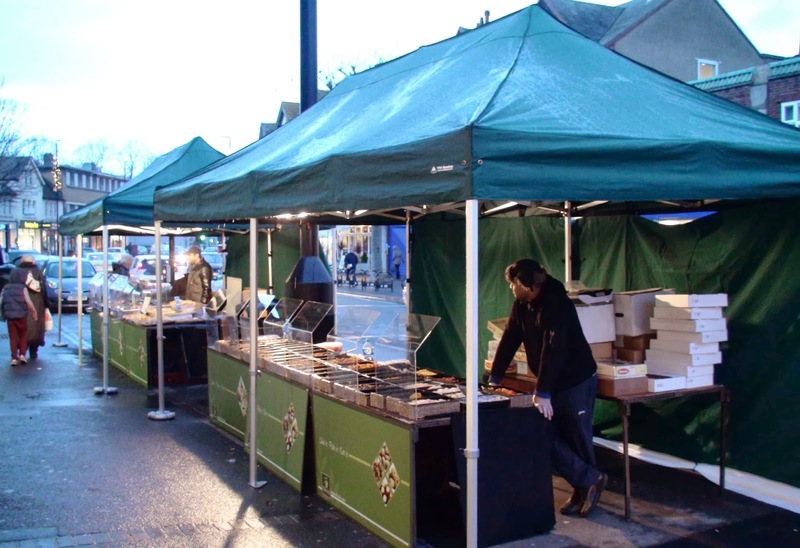 A bunch of cheery chaps have pitched their food stall tents in front of Iceland and Thomas Cook in Central Road to offer passers by sweets, nuts, olives and other similar delights. But there is no sign of a proper market of any other stalls. Apparently there will be there until the 23rd December and then will be off to Sutton town Centre from the 26th for a few days. I did think it was a bit odd for a stall to just set up without a market or any pre publicity but they assured me they have all the correct permissions from Sutton Council. Also it was a little odd that one of the chaps didn't want me to take a photo, claiming is was company policy not to let anyone video of photograph their stalls. Mind you I had already taken the one above (with one of the other gentleman's blessing) and at the end of the day it's a public stall in a public place. Either way it did look very clean and the olives were nice so pop down and check it out if your in the market for that sort of thing - so to speak.